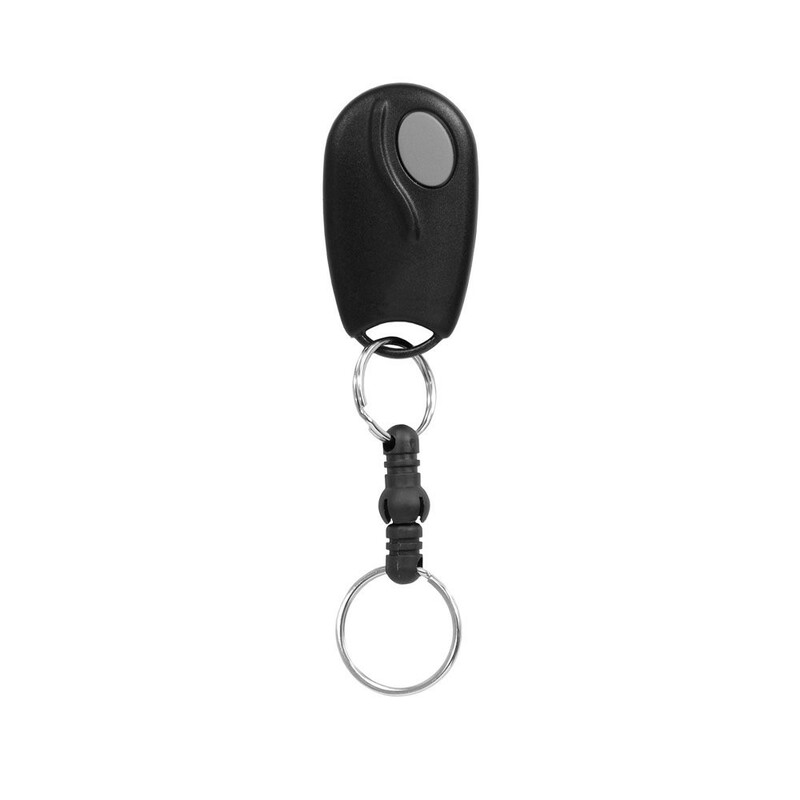 The Model ACT-31C 1-Channel Block Coded Key Ring Transmitter is a single-channel use device, made to be used with Linear's access control products. The Model ACT-31C 1-Channel Block Coded Key Ring Transmitter is a single-channel use device, made to be used with Linear's access control products. Pressing the button will allow you access to your Linear product. The device comes on a quick-disconnect key ring, as well as with two lithium batteries, allowing for a long life. One unique feature of this product is a ten-second time-out feature which prevents the system from being shut down by a transmitter transmitting continuously. In order to prevent unauthorized gate access, each transmitter comes factory programmed with one of over 1,000,000 codes, basically eliminating the possibility of code duplication. Every receiver "learns" each specific code programmed to it in MegaCode format, which means that no unapproved person can gain access to this system by reprogramming a transmitter. These transmitters also come programmed to a subsequent series of transmitter ID codes, and when used with a Linear access controller, they can be remotely programmed into system memory by entering the first and last codes of the block into the system. In order to further customize the system, you are also able to use facility codes.